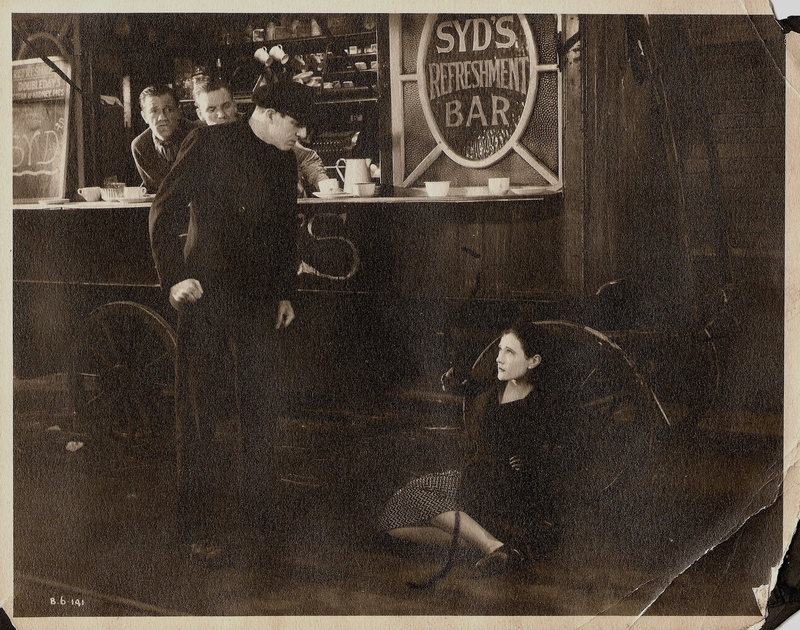 This is a story that began in the trenches of World War I when Syd was gassed. 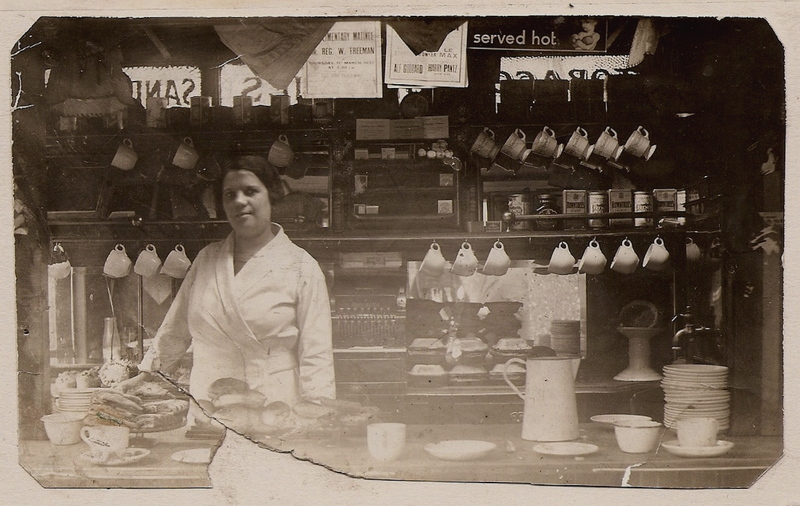 On his return to civilian life in 1919, Syd used his invalidity pension to pay £117 for the construction of a top quality mahogany tea stall with fine etched glass and gleaming brass fittings. And the rest is history, because it was of such sturdy manufacture that it remains in service ninety-nine years later. 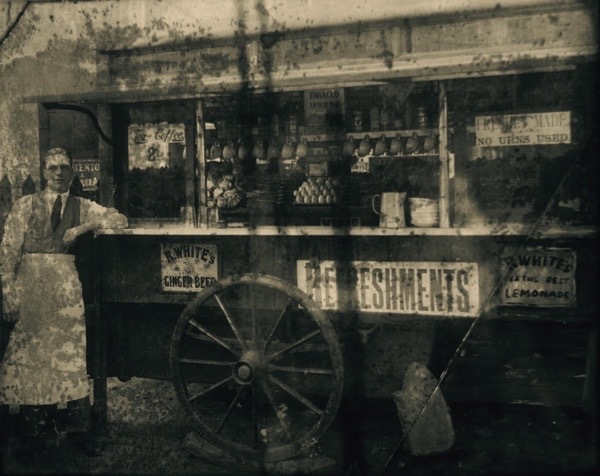 Jane Tothill began working at the stall in 1987 with her brothers Stephen and Edward, and the redoubtable Clarrie who came for a week “to see if she liked it” and stayed thirty -two years. 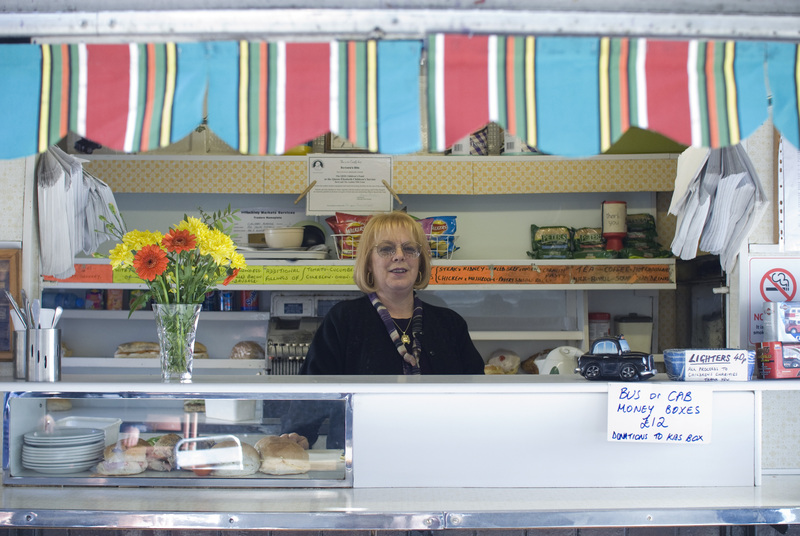 Jane manages the stall today with the loyal assistance of Francis, who has been serving behind the counter these last twenty years. Nowadays the challenges are parking restrictions that make it problematic for customers to stop, hit and run drivers who frequently cause damage which requires costly repair to the mahogany structure and graffiti artists whose tags have to be constantly erased from the venerable stall. 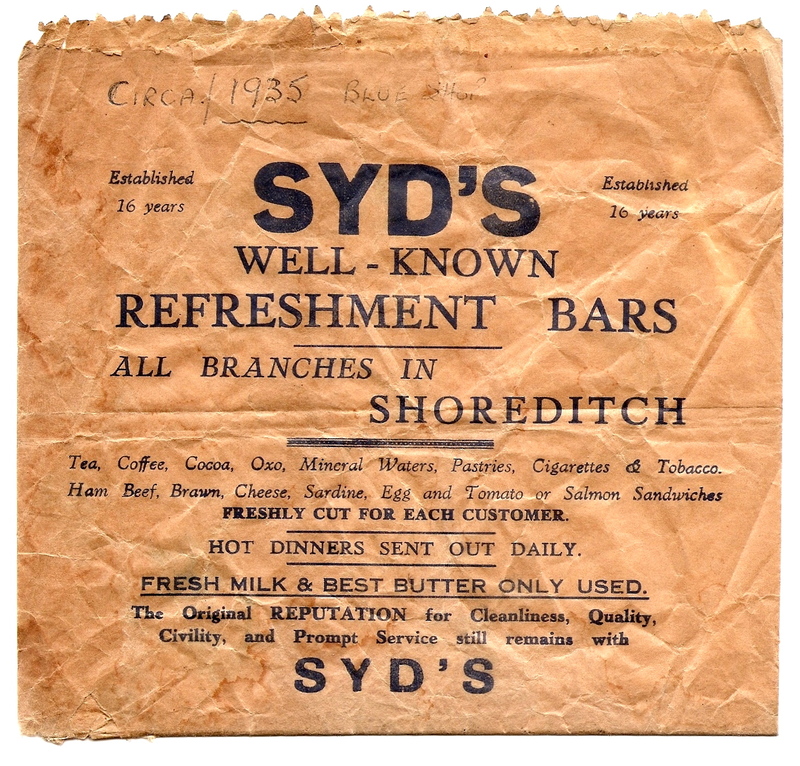 Yet after ninety-nine years and three generations of Tothills, during which Syd’s Coffee Stall has survived against the odds to serve the working people of Shoreditch without interruption, it has become a symbol of the enduring human spirit of the populace here. Can’t the lamp live-wire the stall while it’s closed to ‘cater’ for the graffiti so-called artists? It would be a heart-warming (and -stopping) spectacle. I’ll stop by next time. Great history! 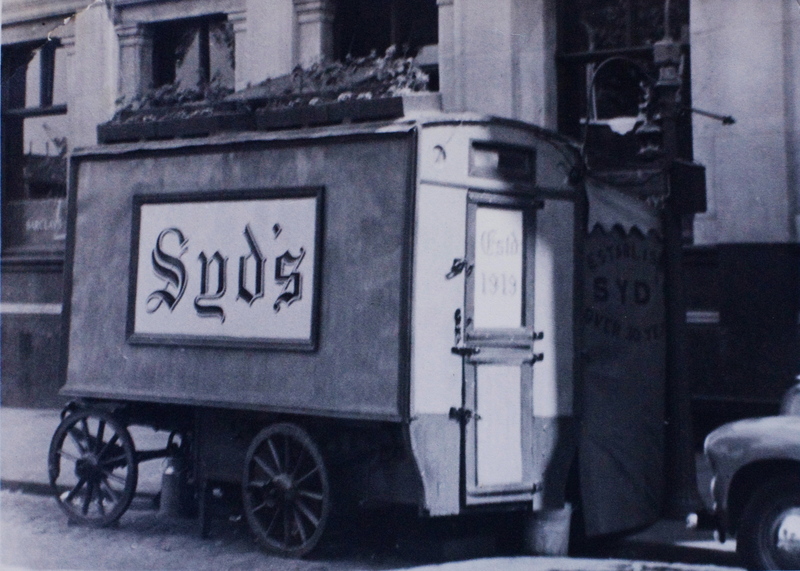 What a wonderful story, long may Syd’s continue. 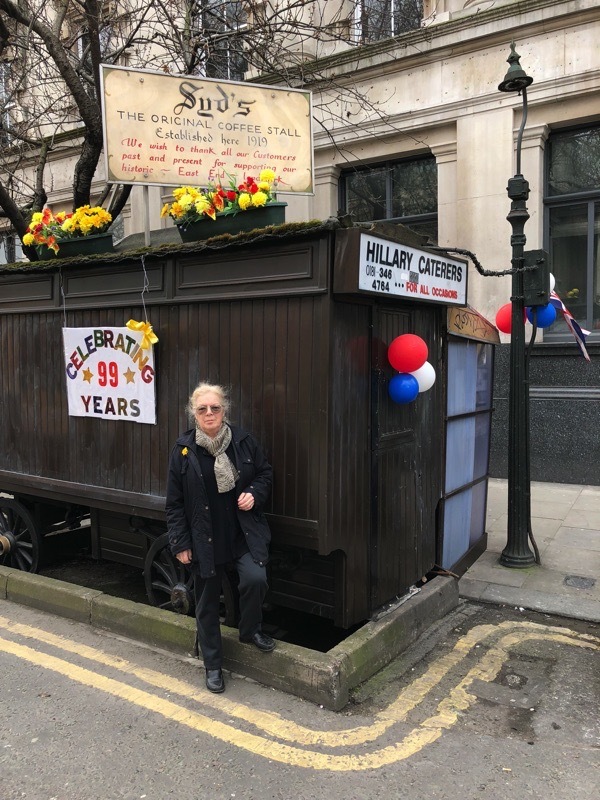 Credit is due to the local authority for keeping the tradition going and allowing the licence and preservation of the space. Long may it be there ! 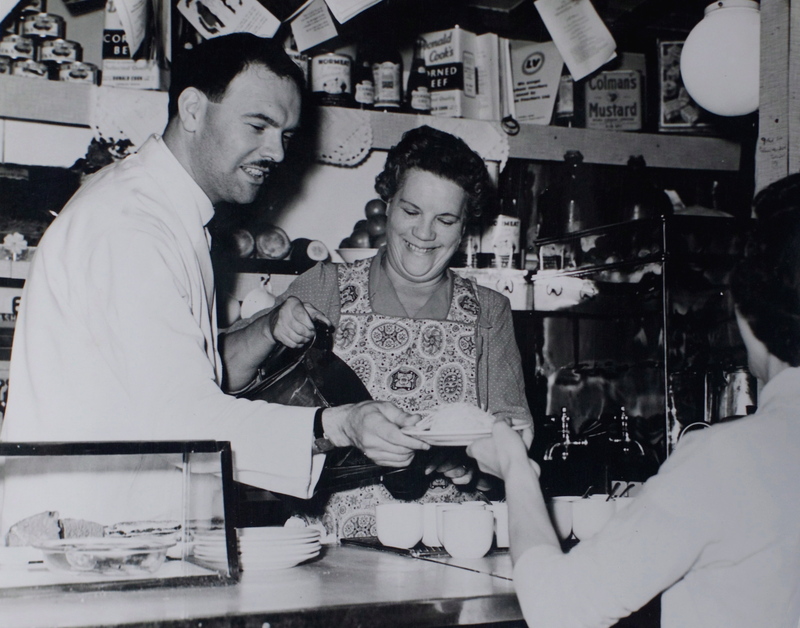 “Syd’s Coffee Stall is a piece of our social history that does not draw attention to itself, yet deserves to be celebrated.” It certainly does – thank you for telling us about these good people GA.
A wonderful story and yet again somewhere else of interest for me to visit on my next trip to London! What an amazing story of endurance. Not surprising that after first experiencing getting gassed during the war, Syd had a mental breakdown after he and May had been caught in the explosion. I now live in North Yorkshire, but will definitely go there for a cuppa on my next trip down to London! My wife and I were visiting Shoreditch this week for the first time, and I was lucky enough to stumble upon Syd’s. I recognized it immediately from this blog and took great delight in explaining to my better half the story (as best I could remember) of how it came to be where it is, kerbstones and all. I hope it continues for many more years to come.